The 2016 PGA Merchandise Show in Orlando, FL attracted golf buyers and sellers from around the world to drive a 3 percent increase in overall attendance, despite the early-week Winter Storm Jonas impacting the East Coast of the United States. The top five countries (outside of U.S.) represented in attendance were Canada, United Kingdom, Japan, Mexico and Germany. The top five U.S. states represented in attendance were Florida, New York, Georgia, Pennsylvania and Michigan. This year’s show was well attended by both exhibitors and visitors, even without familiar names such as Nike, Mizuno and Sun Mountain. For the first two days everybody seemed to be writing orders. 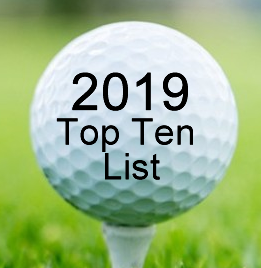 Callaway, PING, Titleist, Bridgestone, Cobra and Tour Edge were consistently busy, as were Carnoustie, SunIce and Devereaux. The Demo Day was the busiest I have ever seen and perfect weather was the order of the day. Whether this will convert to an increase in business, only time will tell, though positive attitudes heard from attendees and exhibitors may warrant a better 2016. 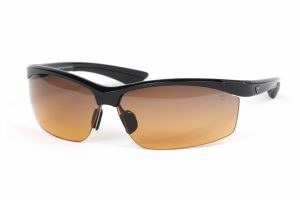 These 10 products below, together with a brief synopsis, were those products that I felt deserved your attention, and they will be fully described in Part Two next month, as we conclude our product testing and evaluations of the below mentioned products. The L D2, GolfBuddy’s first foray into the ladies watch market, combines Swarovski crystals with a genuine leather strap, a stainless steel bezel and a mineral crystal lens for a crisp display. Each element has been designed to ensure a luxurious look and feel. The Swarovski crystals are produced with a light sapphire hue, while the interchangeable wristband is made with an alligator grain. The WT5 watch is elegant and provides full targets and hazards information. Heath Slocum, Tim Clark and Bo van Pelt use this putter. With scientific principles that produce a more natural and consistent putting stance and stroke behind this putter, and with its performance and aesthetics all working together, it all makes sense. The AccuLock Ace was designed with a forward shaft lean that allows the club grip to rest against the leading forearm during the stroke. To achieve the optimal forward lean and lie angle, the shaft was attached to the rear of the putter head. The absolutely smooth roll and feel exemplify pure putting, resulting in more sunk putts! Another great attribute of this putter’s design is that it can also prevent and reduce back problems according to Dr. Frank Fornari and Dr. Gwen Bauer, the putter’s developers. 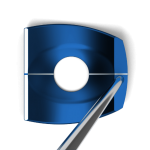 BioMech has also partnered with the American Parkinson Disease Association (APDA) to reengage golfers and enhance the joy of the game to players impacted by Parkinson’s. Their two new products are simply marvelous and truly useful. 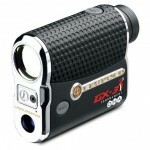 The XL1000 is like nothing you’ve seen before from Laser Link Golf — their first “hold to your eye” rangefinder. A new design, new features, and new modes add a new dimension to the most complete line of laser rangefinder products in golf. 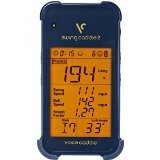 The Swing Caddie 2 Portable Launch Monitor is amazing and gives Trackman a run for their money at considerably less cost. 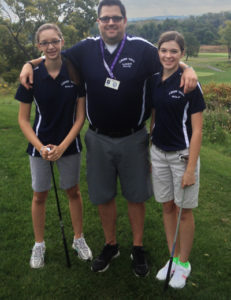 This company knows about distance finders and launch monitors, both of which will definitely make you a better golfer and enjoy the game of golf even more! 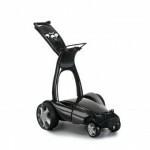 The most beautiful, sleek and fun electric golf trolley available ever bought to market. 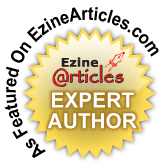 Though very expensive, at least a $1,000.00 more than its competitors, this is the real McCoy! I love the way it follows you around the golf course. 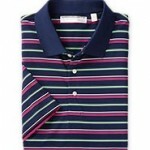 For the pas t 20 years, Carnoustie’s premium golf apparel brand has been the choice of well-dressed golfers. Visit any upscale, daily-fee course around the country, what stands out in the pro shop is the Carnoustie brand for men and women. Their styles are not the cutting edge trends or tailored fit profiles so dominant today, but what you will find is a steady stream of timeless designs that are well constructed out of premium fabrics. 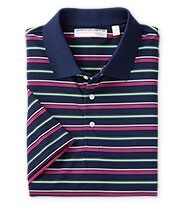 In my opinion, Carnoustie has the classiest, best looking and highest quality golf shirts currently on the market! This is t he driver that the major driver manufacturers do not want you to know about. 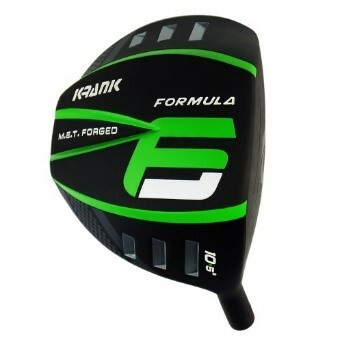 Its performance and distance can equate to 20 – 30 yards longer on every drive. How could it not be good if it has won 8 Long Drive Championships? If I can achieve 18+ more yards, imagine what you can do! 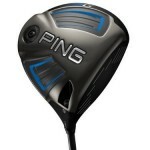 As alw ays, PING products are outstanding and this year’s G driver is no different. 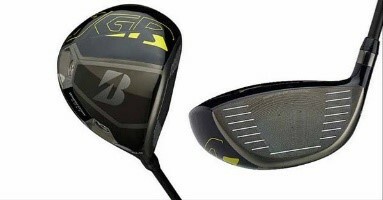 It is an upgrade to the G30 series, the best-selling driver of 2015. 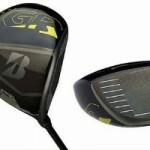 In fact, their whole new G Series of driver, fairway woods and hybrids, will markedly improve your game, especially if you take advantage of being fit by a certified PING fitter. JGR Hybrid Forged irons and their B series balls perform superbly. If yo u are looking for one of the most, if not THE most comfortable golf shoe currently available, then Skechers is your answer. Matt Kuchar loves them and I truly believe you will be thrilled with the fit. I know I am. 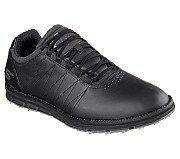 Spikeless and Spiked, men’s and women’s golf shoes are available in great designs. “want to have and need to have” instruments. The Fog Mode feature is awesome. Fueled by an exclusive rangefinder engine technology, years in the making, DNA Technology (Digitally eNhanced Accuracy) propels golf laser range finding to new levels of precision and speed. Get faster, more precise ranging with resolution to within 1/10th of a yard against all background colors and textures. DNA takes the groundbreaking GX-3i2 to a new level! This entry was posted on Friday, February 19th, 2016 at 8:14 pm and is filed under Golf Equipment Reviews. You can follow any responses to this entry through the RSS 2.0 feed. Both comments and pings are currently closed.